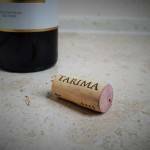 On the palate: Medium bodied with a soft and juicy core of red and black fruit. 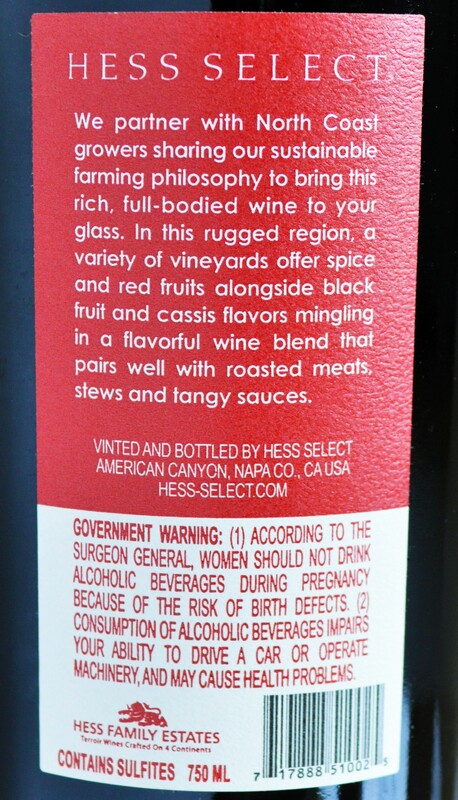 There are notes of anise, clove, raspberry, black cherry and currants enveloped by a nice spiciness. There are touches of leather and smokey vanillin on the dry, slightly tight finish. Should you buy? 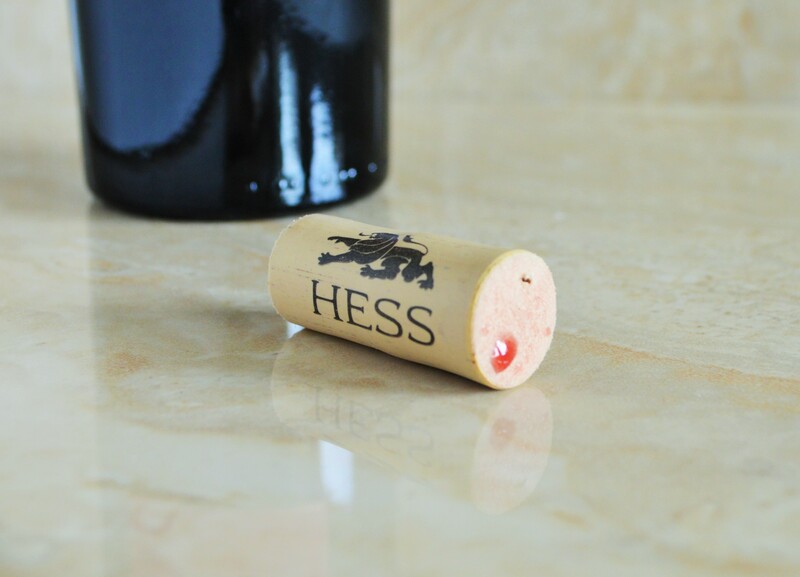 Consider making the Hess Select Cabernet Sauvignon your new house wine! 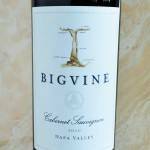 Big Vine Wines: 2010 Cabernet Napa Valley Review – This Cabernet I paid only $14 for might just be the best bargain in Napa Valley! 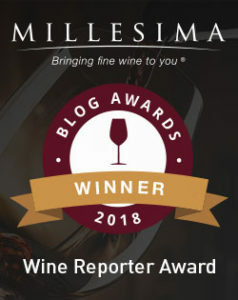 Also take the time to visit a great blog that focuses entirely on Costco’s wine selections: Costco Wine Blog. It’s a great source of information for those navigating the ever changing and copious selections at their local Costco. Thanks Beth! For the price paid it was tough to beat for it’s simple drinking pleasure. Great post. 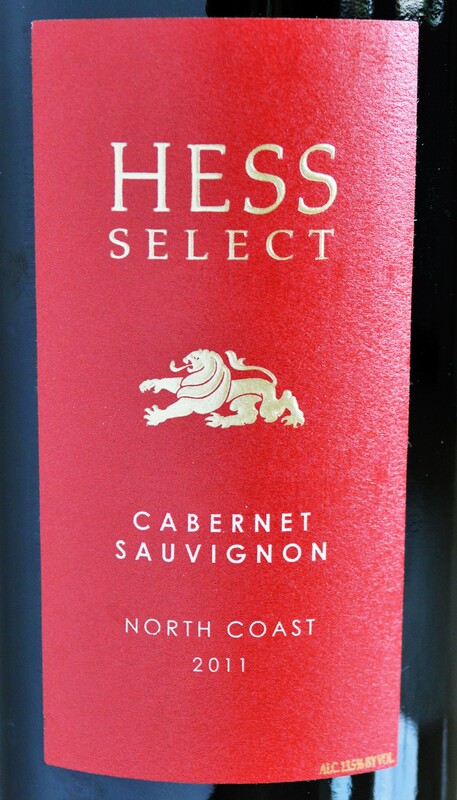 We’re sourcing Hess Select Cabernet Sauvignon North Coast 2013 from Trader Joe’s for around $13/bottle and it compares well to wines in the $20-25 dollar range. Plenty of fruit and spice. A great deal. Thank you! 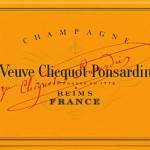 Agreed – it is definitely a great value. Cheers! I found the Italian blended wines known as Montefalco Rosso from Umbria to be very similar in taste and appearance to this wine. They are also a great value in Italy, although hard to find in the USA. Thanks for stopping by. I’m a huge fan of the Sagrantino varietal from Montefalco. Have you tried it? I will have to look for the Montefalco Rosso. Cheers!